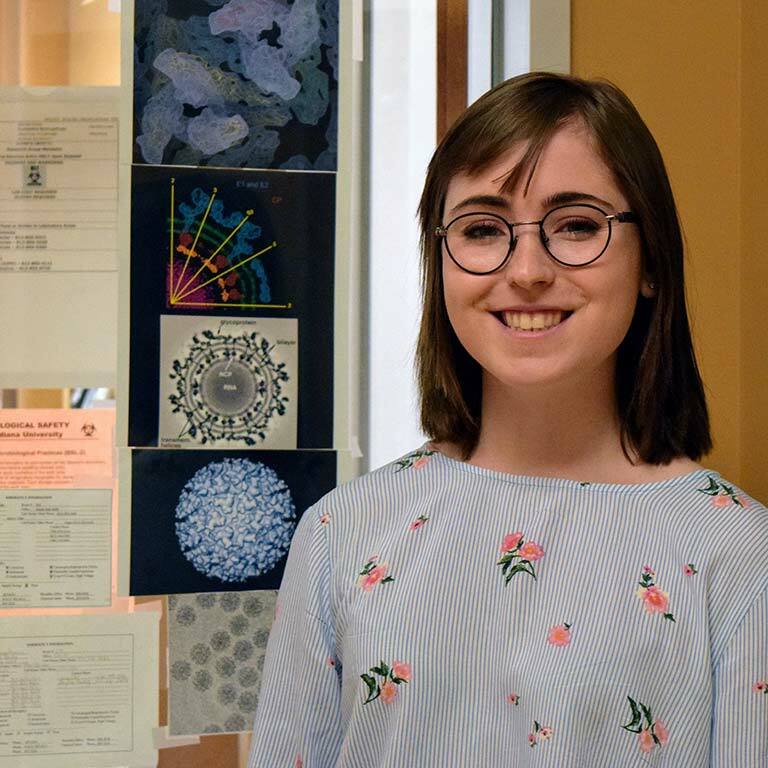 Freshman Microbiology major Megan Perkins discovered her passion for research in Dr. Richard Hardy’s Biology lab. The Louisville, Kentucky, native arrived in the College as a Direct Admit Scholar in Microbiology. Being a Direct Admit allowed her to connect with other students quickly, Perkins says. Being a Direct Admit also helped Perkins find her way to the lab. She went to a meeting for Direct Admits the first week of school, where she met Dr. Hardy. Perkins was fascinated by his research and soon joined his lab, where she works with bacteria such as Wolbachia. “As a micro major, I appreciate bacteria to the nth degree,” she says with a laugh. Her work in Dr. Hardy’s lab has also given her a leg up in her Microbiology courses, she says. In her classes, she learns about the applications of techniques she’s already performing in the lab. Perkins found her passion for science in the lab, and she advises students who are also looking to discover their interests to push themselves out of their comfort zones to find ways to grow. “My best advice is get involved and find out what you’re passionate about. Don’t be afraid to be wrong,” she says. Getting involved will help you discover your niche—which might just be the Biology lab. “I’m really happy with where I am,” Perkins says.